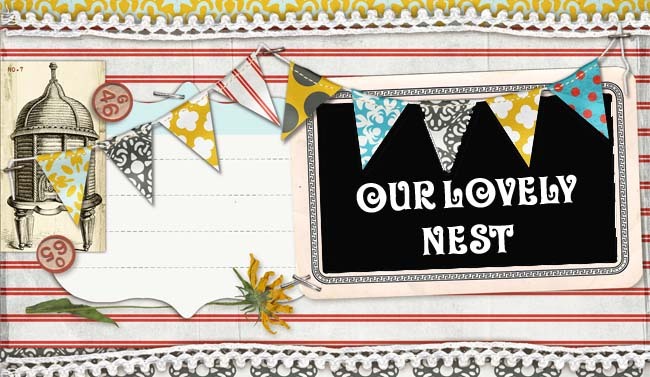 Our Lovely Nest: New Website! Check out the new website! I will still be using this blog for family updates etc, and will be using the new website for the business side of things! It's still in the works, but doesn't it look fabulous! Thanks to Matt and Shayna Hobbs at Taproot Photography for building the website for me! Shayna drew my new logo... A-mazing.... and she thinks she's not talented....! You should have seen the other 10 options she drew... The hardest part was choosing one! Matt and Shayna are so creative and talented, the Lord is using them in mighty ways. Check them out. They have some awesome things in the works! We'll be tweaking and updating the look, but all Lovely Nest Designs, tutorials etc. will be listed there from now on! We are creating(I say we... what I really mean is Matt is creating) some buttons with HTML code that you can grab and put on your blog if you want to, so stay tuned for that! I am humbled that they would take the time to help me. For awesome photography, incredible website design, graphic design, you name it... they can do it... contact them!